Stewart Garden 5-6" Pot Saucers Pack of 5 multi use high quality plastic terracotta plant pot saucers suitable to fit flower pots with base diameter of 12.7-15cm. 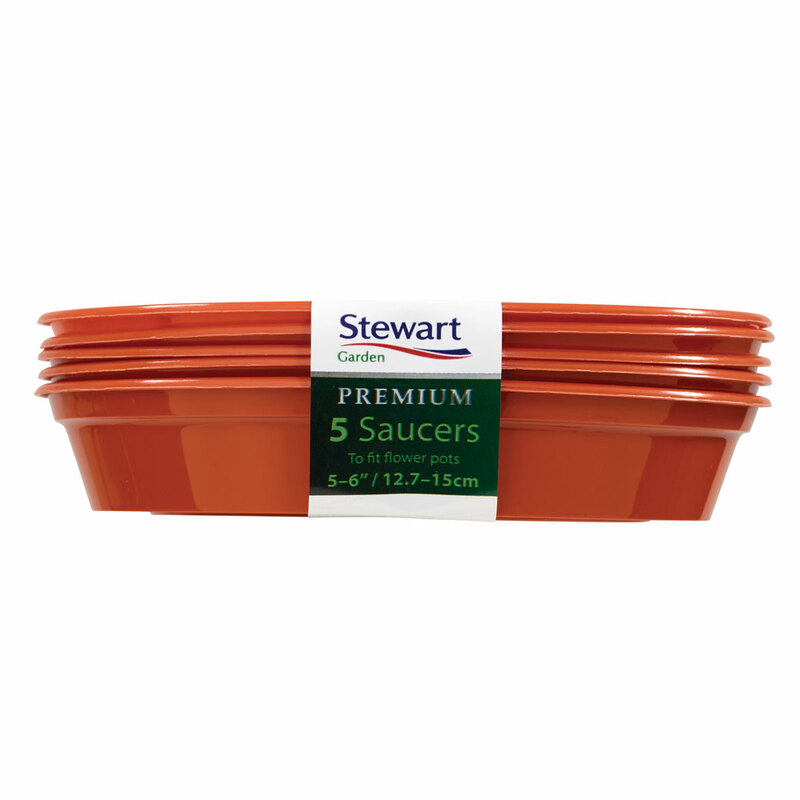 Ideal for houseplants, these water drip saucers ensure a planted pot does not get waterlogged. Each saucer measures 3cm depth and 15cm external diameter, allowing for 12.7-15cm diameter footprint pots to sit within. Premium quality frost proof and UV resistant plastic construct.